Beautiful, sleek, and colorful are three ways to describe tile flooring. Whether you’d like to add some coolness to a bathroom or incorporate a more eccentric look to your kitchen, tile flooring is the best option to incorporate elements that are gorgeous and vibrant. If you’d like a more Southwestern look in your home or the appearance of cool cerulean to add a soothing vibe of tranquility, then 2 Day Flooring can meet your needs. We have a selection of tiles to incorporate in your home that will offer your residence something a little different. Whether you want small tiles or brighter ones to add some color to a room, 2 Day Flooring will go above and beyond your expectations. If you’d like to learn more about our tile flooring services, then contact us today. Before you decide that you want tile flooring, we urge you to do some research to ensure it’s the right option for your home. After all, sometimes you may see a flooring option that looks magnificent and it doesn’t necessarily work with your lifestyle. For example, you may get cold very easily, which means that tile might not be the best option because it keeps your home refreshing. On the other hand, if your home is busy with animals and small kids, then tile might be the best option due to its ability to handle high traffic. Tile flooring is a fantastic option for those who want a flooring option that’s sturdy and stain-resistant. While there are many different types of tile, whatever you choose will be durable, great in high traffic areas, and sustainable. Before you decide to jump into the many sizes, colors, and styles of tile, we encourage you to figure out what room you’d like to renovate, which we’ll dive into below. Tile is best in rooms that are exposed to water. Due to the fact they are so water-resistant, you don’t have to worry about them becoming warped and destroyed when some water is splashed on the flooring. These rooms that are best for tile flooring consist of a sunroom, kitchen, mudroom, laundry room, or a bathroom. Each of these rooms are exposed to a large amount of water. Even if it’s just a few drops from your hands that were just rinsed off, you’ll be glad that you had tile flooring in that area instead of hardwood, which can become warped. 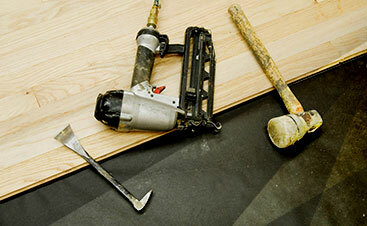 If you’re interested in renovating your home with tile flooring, then we urge you to hire 2 Day Flooring. 2 Day flooring is proud to offer services to the residents in the New Tampa, FL, area. 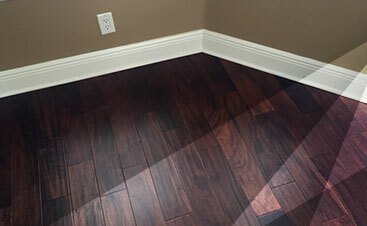 As one of the growing neighborhoods in the area, our premier flooring business will work closely with each of our customers to create a plan that will ensure the floors in your home are superior. We’re timely, dependable, and prompt. 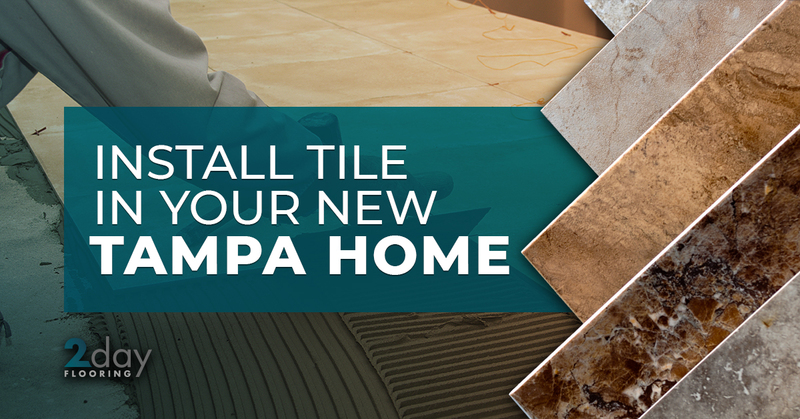 When you work with our flooring company in your New Tampa home, you can know you’re in good hands.